Watch out for the vortex! 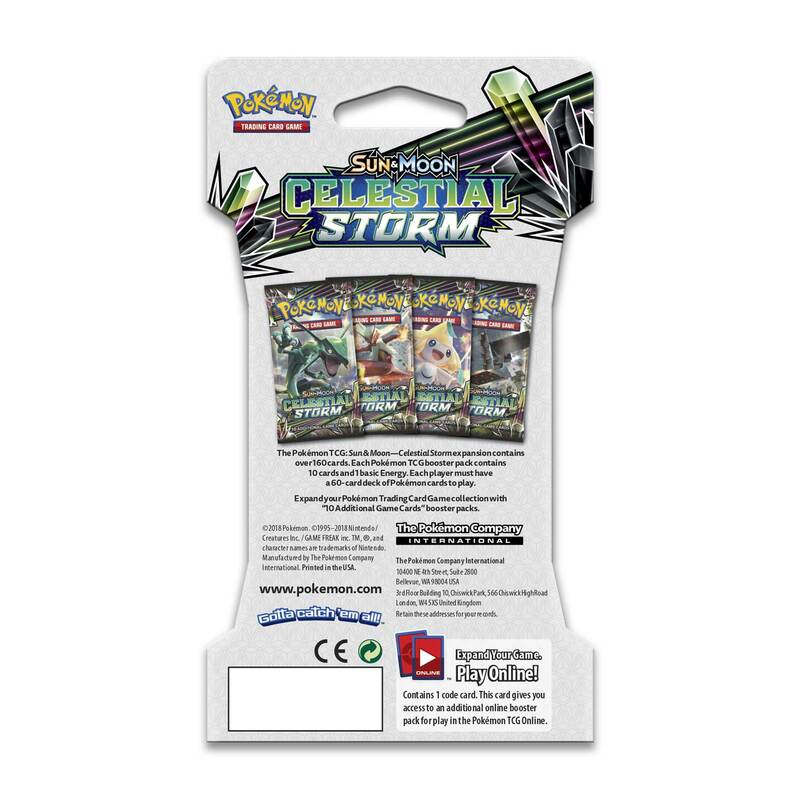 It’s a season of furious emerald storms and a sky alive with portents, as Pokémon and creatures from Ultra Space clash. 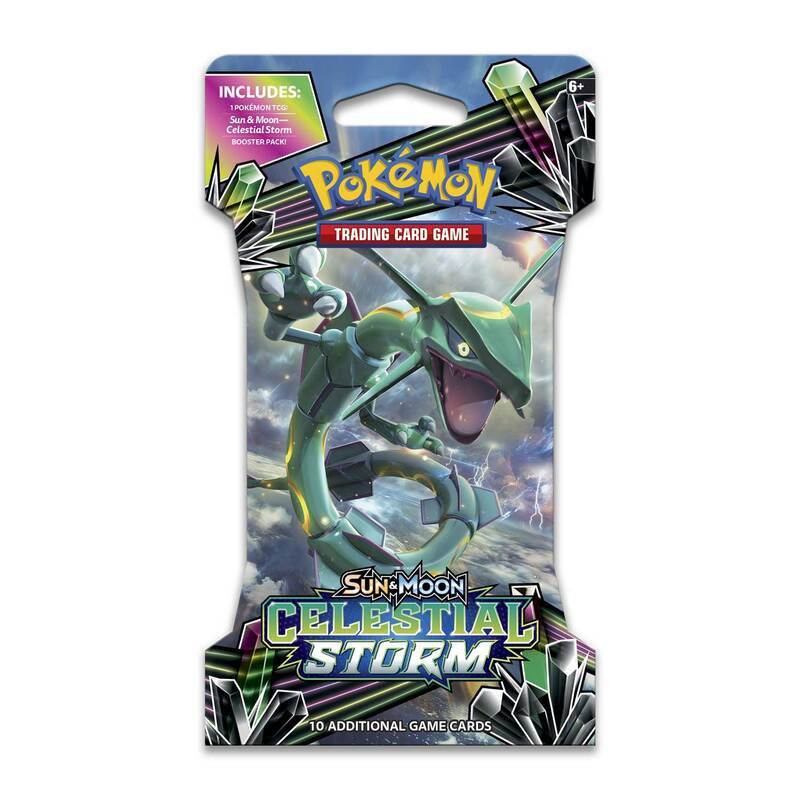 Some ride the storm, and others defy it…face the winds of change head-on in the Pokémon TCG: Sun & Moon—Celestial Storm expansion!